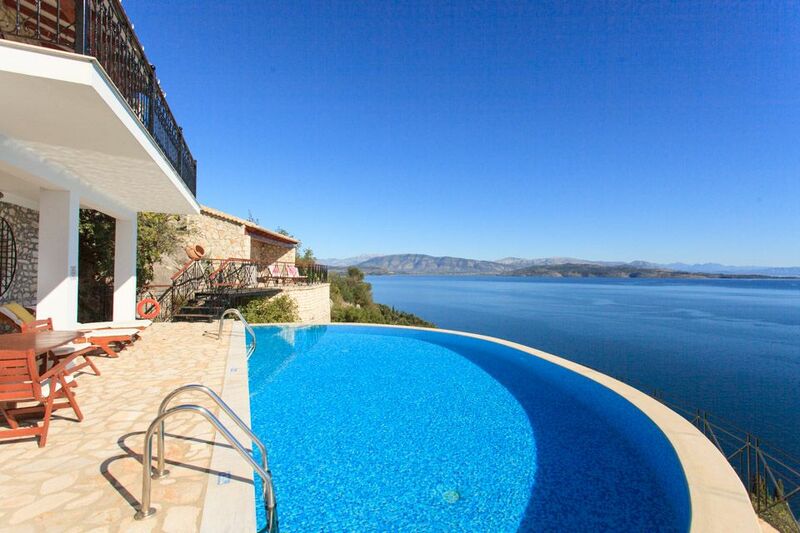 House On The Rocks is located in Nissaki, Corfu. Our detached vacation rental property is air-conditioned and sleeps up to 6 people with 3 bedrooms, 3 bathrooms along with private swimming pool (South Facing) and sea views. The Villa is walking distance to the beach and restaurants. House On The Rocks has has 3 air conditioned bedrooms. The Villa can sleep up to 6 people. Holiday in the villa "House On The Rocks" was magical. This is our best vacation ever. Everything was wonderful. The villa has everything for a comfortable stay. The house is located in a quiet place. Nothing bothered us. Wonderful and clean pool. If you wish, you can go down to the sea (with a little sports training, since the descent and ascent are very steep). Thank you very much to all the employees of Agni Travel. Managers have always been in touch. And many thanks to those who cleaned our house. We thank everyone for an unforgettable vacation in Corfu !!!! We hope that we will use your services many more times !!! We had a lovely stay at House on the Rocks. The house has everything you could need . Beautiful views across to Albania and south towards Corfu town. We enjoyed the hospitality of the housekeeping team who brought eggs from home and were very friendly. Thank you. Amazing!! Even better than the pictures. The house design is amazing, and its designed and built by the owner! She thought out every detail and creates a truely welcoming experience for her guests. We very much enjoyed the fruit at the arrival and sweets and eggs during the mid-week cleaning. Also the fresh flowers on arrival we really liked too!